Why no Nobel Peace Prize for Zanjeer the Dog? If being the best friend that humans can have in this world wasn’t enough, the dogs have long donned the colours of courage as unsung heroes. From leading cohort operations against the terrorists, to unflinching loyalty and everyday healing, dogs have given humans their absolute all. As the calendar turns the final leaf for the year, media circles would begin scrutinising names for the person of the year. Across genres as distant as politics, entertainment, sports and humanitarian works, dogs would feature no-where as they haven’t in the past. Turn the time wheel a gear faster and we would have the Oscars, once again turning a blind eye to Leonardo de Caprio and Uggie. Not quite surprising for a world where Gandhi gets a miss, but Obama wins a Nobel Peace Prize. If it were to us, the next Nobel Peace Prize would go to man (and woman’s) best friend, the dog! Closer home in India, in 1993 Mumbai (erstwhile Bombay) was rattled by a series of bomb blasts. Whilst the ghosts of the tragedy are yet to be exorcised with justice, there remains a protagonist of the heroic team – Zanjeer the dog who helped save ‘human’ lives in the line of fire and yet has not elevated in national consciousness where demigods with chiselled physique or politicians with a statue fetish are revered. Zanjeer the hero dog saved countless human lives in the aftermath of Mumbai (Bombay) serial blasts of 1993. Zanjeer was just one-year-old when he joined the Bomb Detection and Disposal Squad (BDDS) in December 1992. The cops grew so dependent on Zanjeer that there were occasions when they would bring only Zanjeer and no equipment. 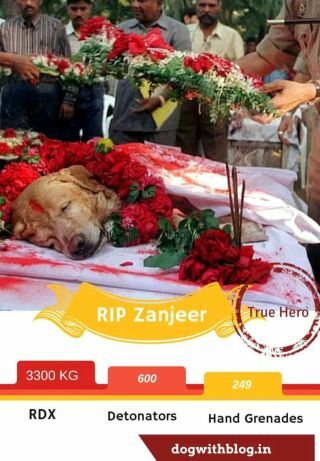 Zanjeer worked with the bomb squad and saved thousands of lives by detecting over 3,330 kg of RDX, 175 petrol bombs, 249 hand grenades and 6406 rounds of live ammunition, 57 country-made bombs, 11 military bombs and 600 detonators in his eight years of service till he eventually died of bone cancer in 2000. Zanjeer was buried with full police honours at a widely-attended ceremony. Perhaps we don’t really need a statue or stamp for true heroes like Zanjeer for they are enshrined forever in our hearts. 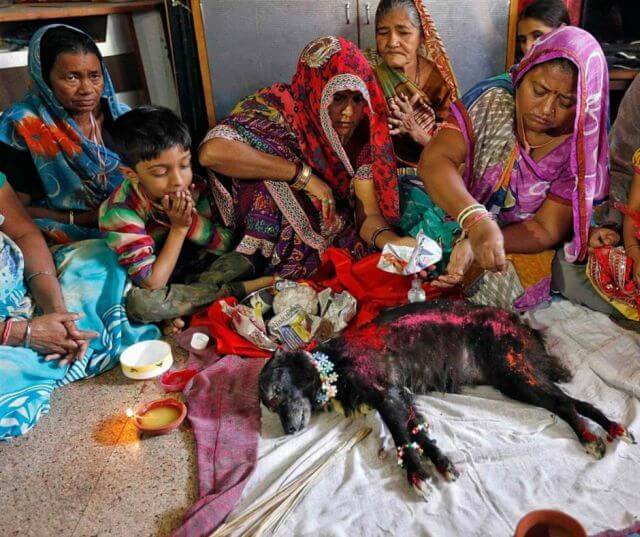 Closer to Mumbai, in Ahmedabad Gujarat, the residents of a society paid their last respects to the 18-year-old dog ‘Sonu’ who guarded the locality all her life. Undoubtedly…the memories of Zanjeer the hero will be etched forever! Pingback: The dog wins Nobel prize!